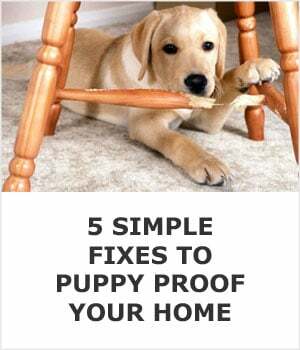 There are a lot of things you can do to get your home ready for a new puppy, but the honest truth is that you can’t plan for the unexpected and puppies are full of surprises. There are 5 “must-do’s” that I believe are absolutely crucial to creating a safe environment around your home. These 5 tips will protect your home from damage and protect your new canine friend from hurting themselves too. One of the first things dogs stick their noses in once they are tall enough is the trash can. There are all types of delicious goodies in the garbage can that can upset their stomachs or cost you an expensive trip to the vet. Young dogs will put just about anything in their mouth and swallow it if the mood strikes them. So elimiate the risk of them eating the garbage and get a trash can that’s designed to keep dogs from getting into it. This maltese is perfectly happy and comfortable in her crate. It might seem cruel to put your dog in a “cage” but it’s a ctually a place that they’ll quickly learn to feel safe and comfortable in. The first place our dogs run to when something scares them is their crates, and they both know that when they hear the electric toothbrush in the morning I’m about to leave for work and they happily head to their crates without me prompting them. Crate training is really easy to do and it will take them just a few days to learn that the crate is an enjoyable place in the home for them to spend time in. Emergency vet visits are absurdly expensive and if your puppy takes a medicine vial or even over the counter cough syrup off the countertop there’s a good chance you’re going to have to head to the emergency vet. Keep all medicines safely out of reach and preferably in a cabinet because poisoning is one of the most common reasons that puppies end up at the vet in the middle of the night. Playing with other dogs works wonders for their anxiety levels. It might not seem obvious but if you’ve ever owned a dog you know how much of a difference a short time at the park can make in their energy and anxiety levels. Puppies have some sort of magical energy reserve but letting them run free for just 20-30 minutes will sap that reserve and they’ll be much more relaxed throughout the day, even on days you don’t take them to the park. When they play with other dogs and they get to socialize it helps lower their anxiety levels too so they’ll be much less likely to chew things back at home. 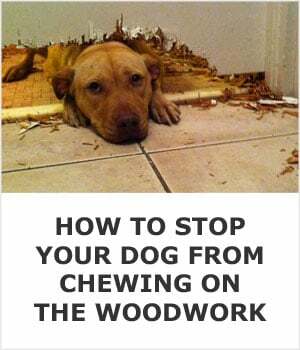 Puppies need to chew and they’re going to do it if you buy them chew toys or not. 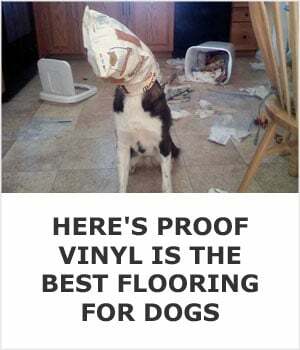 If they don’t have a toy in front of them that they can easily start to chew on they’ll find a shoe or a piece furniture to get their energy out on. Put away your shoes, tuck electical cords away under the furniture, keep the remote control out of reach, get rid of toxic houseplants, and buy them a few different chew toys to keep them occupied. We bought a bunch when we got our dogs and through trial and error we found that these 3 chew toys are nearly indestructible and kept their interest for long periods of time.